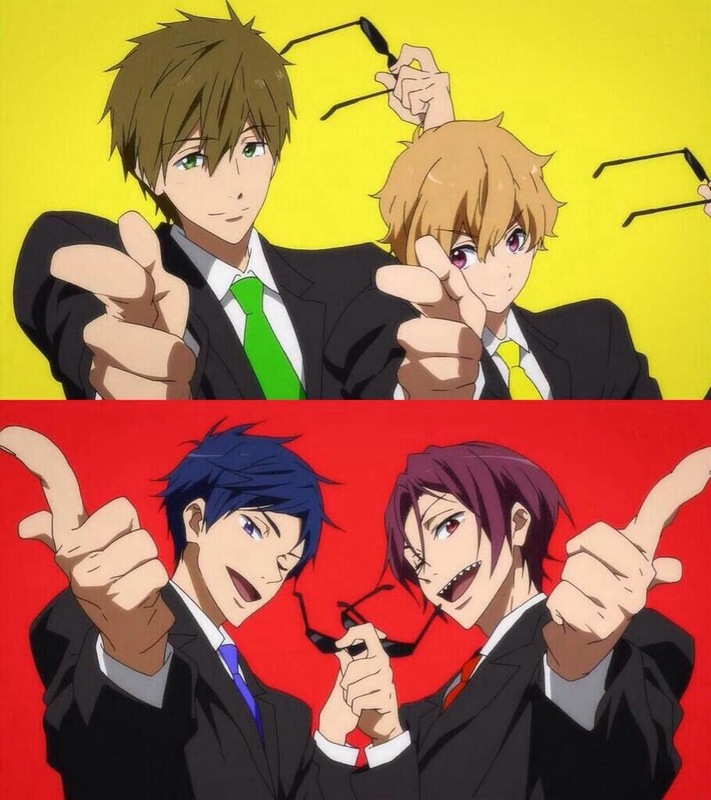 So I just finished the 2nd season of Free with was titled Free Eternal Summer. I was definitely looking forward to watching the 2nd season of this show since I did honestly enjoyed the 1st season. So the 2nd season had the same list of characters that was in the 1st season but they did introduce 2 substantial new characters to the series and that was Momotaro Mikoshiba who is the younger brother of Seijuurou Mikoshiba who if you remember is the captain of Sametsuka Academy. Momotaro was definitely some of the new comic relief for this series since he is really funny and he introduction into the show was one you can’t honestly forget. Another new character is Sousuke Yamazaki who is an old friend of Rin and actually swam with him when they were in middle school. He’s a little bit of a sullen character and I could help but not exactly like him due to the fact that he has a very strange and rude confrontation with Haruka. He also has an underlying issue that you will find out about in the later half of the series. But regardless he is also a very hot character like the rest of them. I know that one of the complaints that I heard a lot of during the 1st season of this show is that there wasn’t a lot of depth to the actual plot and many people found it to be kind of boring or that it mostly focused on how hot the guys were. But during the 2nd season I was very surprised with how emotional the season was. This season was very much about the boys futures and what they were going to do once high school was over. Which I can understand because many times you don’t know really what you want to do after high school. The person that seems to have the hardest time with it is Haruka since he only really wants to swim and that is what his entire focus is on. Towards the end of the series though you do see a change in Haruka’s attitude and he is more kept to himself and a lot more angry when people ask him about what is wrong or about his future. It seems to be something that he doesn’t want to discuss or think about even though he knows that he has too. Once he figures out his decision thanks to Rin which is definitely a surprise he becomes a much happier guy. While before Haruka was a very kept to himself character and didn’t say a lot of words but after he realizes where he went wrong he starts to crack a few smiles and laugh freely. He also apologizes to the friends that he ended up hurting when he was in that terrible mood of his. 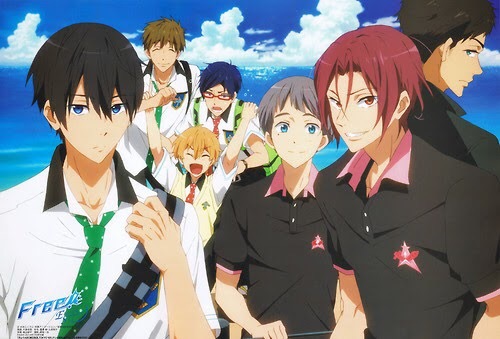 At the end of the series I also couldn’t help shedding a few tears since at the end of series Haruka, Makoto, and Rin were going on with their lives since they have now graduated. It was definitely an emotional ending to this series and I didn’t think I would cry. But overall I really did enjoy the 2nd season a lot more then the 1st since the plot had some twist and turns that I didn’t see coming and also you got to see into the minds of the characters a lot more. 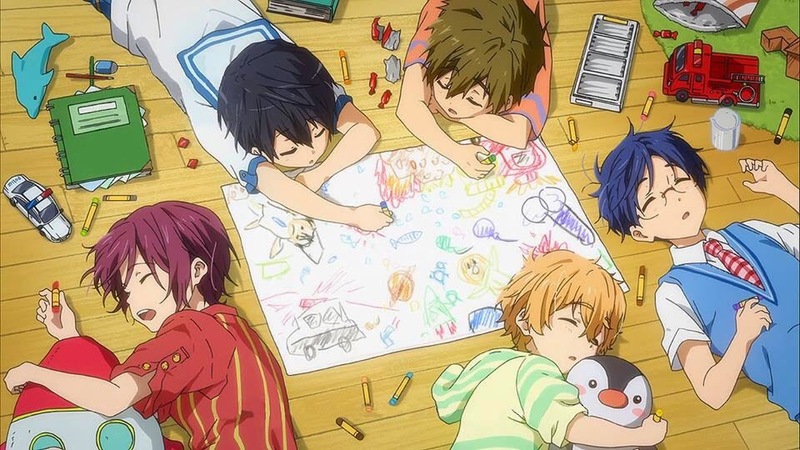 So if you are on the fence about watching the 2nd season of Free I say you should definitely check it out because I was very surprised. So I decided I’m going to start posting reviews every Tuesday and Thursday so that I have enough time to put together a good and meaningful review! Alright thats it for today everyone and happy watching! So since the Bleach anime is now officially over I can finally do a review on it. 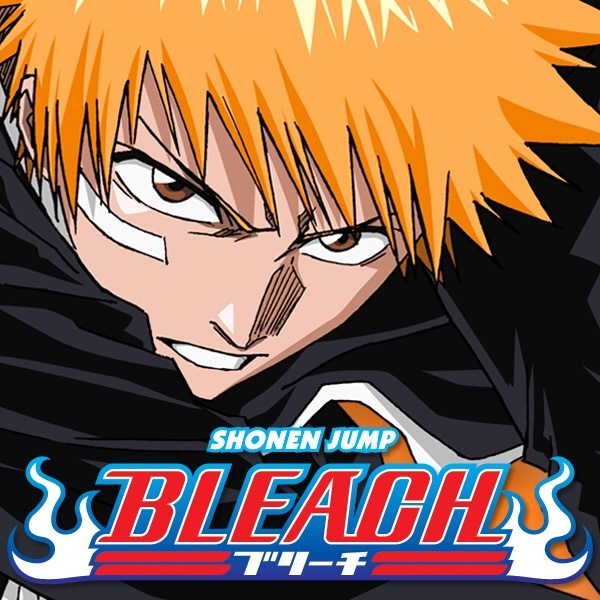 I know that anime has actually been over for a few years but I was watching the Bleach anime dubbed which means it took a while for me to actually see it. So let’s get started on this review! Synopsis: 15-year-old Kurosaki Ichigo is not your everyday high school student. He has from as far as he can remember always had the ability to see ghosts and spirits. A fateful day arrives as Ichigo encounters the shinigami Kuchiki Rukia, who saves him and his family from a Hollow at the cost of injuring herself. During the encounter, with Rukia unable to defeat the hollow she transfer her shinigami powers into Ichigo. In the aftermath, unable to continue with her job, Rukia allows Ichigo to take on the role of a shinigami in her place as they together defeat the Hollows plaguing Ichigo’s town. Music: The music in this show was one word AMAZING!!!! I have so many of the Bleach openings and endings on my iPhone it’s crazy! The songs definitely get you in the mood to watch the show and many times the endings fit what exactly is going on during the current arc of the show. Even the music that was inserted into the show during fight scenes or emotional scenes made you feel what each character was feeling or made you energize for what was going to happen. 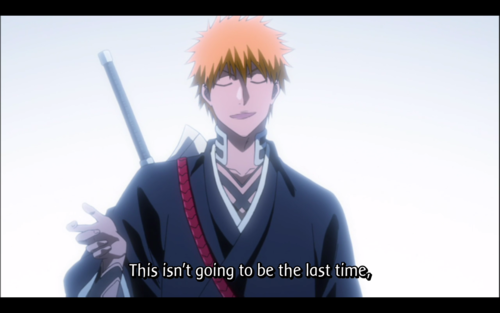 Story: Sooooo the story for Bleach was definitely a long one!!!! I love the concept of Bleach but I hated the filler arcs in the series. 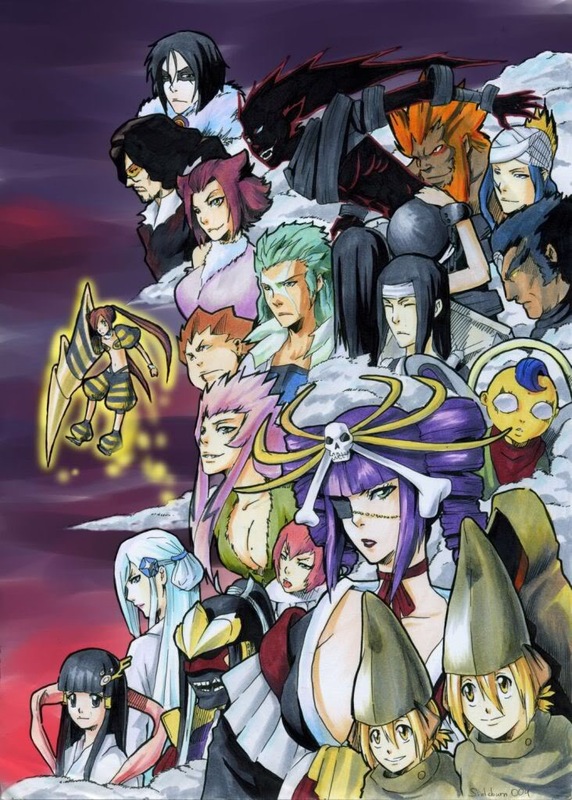 Okay I will admit that I did like a few of the filler arcs like the Zanpakuto arc. But I completely hated the bount arc. I found it very boring and couldn’t wait for it to be over. But overall it was a good story but it did have a tendency to drag itself out which got pretty boring and repetitive. Characters: I definitely loved a majority of the characters in this series! Each character had their own personality and you could definitely find people in your own life that could totally be a specific character. Also each character looked extremely different and had their own signature look. For example Ichigo had his orange and hair and Rukia had that one piece of hair that hung in front of her face. This is what made me like Bleach so much is because the characters were just so amazing and different. Alright so that is my review on the Bleach anime. Yes I know the manga is still on going and I am currently still reading it. So when that decides to end I will be reviewing that as well. Happy watching! So I just got done watching Haikyuu and omg the series was amazing!!!!! It kept me in the edge of my seat from beginning to end! This show made me laugh, it made me shout for joy, and there was times where it made me mad with what was happening. So here is the synopsis and then my review! Synopsis: A chance event triggered Shouyou Hinata’s love for volleyball. His club had no members, but somehow persevered and finally made it into its very first and final regular match of middle school, where it was steamrolled by Tobio Kageyama, a superstar player known as “King of the Court.” Vowing revenge, Hinata applied to the Karasuno High School volleyball club… only to come face-to-face with his hated rival, Kageyama! Music: So the music in this show was amazing! It definitely fit the mood of the series and the opening songs really got you pumped for what was going on the show and made you slide to the edge of your seat so you could see all the action. The songs that happened during the series also fit what was also going on since it definitely made you feel the emotions that the players were feeling. Story: The story overall was very similar to many other sports animes that I’ve seen lately. The story starts off with a team that isn’t that great that ends up getting better due to some new first years getting on the team. There are of course many different teams that they face they have their own strengths that they have to work through. The story moved at a very quick pace but not so fast where you were like what just happened but fast enough were it kept your attention. The ending of the show was good and it doesn’t leave you hanging but you definitely know that there is going to be a 2nd season or at least it makes me hope for one. But I do know that I plan to read the manga. Characters: So the characters in this show was awesome! They all had different personalities which made it amazing! I loved every character in this show. They all made me laugh, made me scream, and at times made me mad. You could definitely also put your different friends in the bodies of these crazy cast of characters! So I started reading Happy Marriage when I came across the manga in my local bookstore. I was immediately hooked and had to finish this manga and find out what happens. I then downloaded it onto my phone via one of my many manga apps and started reading. So I’m going to post the synopsis and then my review. Synopsis: Men: they’re the root of Takanashi Chiwa’s problems, which is why she never had the time nor the opportunity to have a boyfriend in her entire life. A full-time office lady and a part-time hostess, she works night and day to pay off her dad’s debt from his failed business. One night at her part-time job, a high-class customer has her fired. Then the next day, she’s called in to see the president—whom she had never even seen before in the office—only to find out she’s to marry him! But what kind of guy is Mamiya Hokuto anyway? Will he become one of Chiwa’s problems, or will he save her from them? And will this marriage even last?! Art: So art in mangas is a big thing for me since sometimes I’ve seen where the art can cause me to get confused as to what is happening in the series or I get confused as to who is talking due to all the talk bubbles. But this art was very easy to follow along and I wasn’t overwhelmed with talk bubbles that interfered with my experience reading it. The main female lead in the manga is drawn very pretty and she is a very feminine looking character. She looks rather plain looking but I like that since it makes you kind of see yourself in her no matter how you actually look. The main male lead in the show is drawn vet masculine looking. I know that in some shoujo mangas the male lead can be drawn very pretty boyish but this character is drawn very tough and stern looking which you don’t see in very many shoujo mangas. Story: The story of this manga flowed rather well but I can’t lie I got very tired with the up and down sequence of the story. It was like something bad was always happening to the characters and then there was high point but then something else bad would happen. It was a constant play on my emotions which I sometimes liked but than at other times I would hang my head and be like when is this going to be over. But the story did give a very satisfying ending which made the constant up and down of emotions worth it. Characters: So there are quite a few characters in this manga but I’m only going to talk about the main lead characters. The female lead while she was very strong she had moments where it was like she didn’t know what she wanted and kept flip flopping with what she wanted from the main male lead. But I can’t lie through all that I could still find myself in her. Now the male lead was a very strong character and at time came of cold but that is what made him attractive. Now over the course of the manga his character did change and he became more loving and opened up more but would go back to being cold but it made you as reading crave and want to see more of his loving side. So that is my review and I hope you guys check out this manga because it is really good. So I had originally really wanted to watch this anime when I happened to see a picture of a scene of this show and I was like what is this show??? I soon found out the title but I also found out that this show was still airing. So I waited until it was finished and then I watched it. So here is my review! Music: The music of the show and I found it actually pretty amazing. The music is one of the first things I noticed about the show since before I even watched it I heard the opening theme song first and that’s what made me want to watch the show. The music the put in throughout the show also helped to move the story along and also help you to feel the emotion that the characters were feeling. Art: Okay so the art it the show was actually pretty typical to what we see normally I animes but it definitely it had that drawn feel and not a CGI feeling which was really nice. There was no weird glitches that I could see concerning the art from what I could tell so overall that was really good. Characters: Alright so the character development in the show was good because while not many of the characters changed the few that did change was very substantial. These two were definitely the 2 main characters in the anime which was Yoshioka and Tanaka. Yoshioka went from being the girl that was just trying to fit in to pretty just embracing who she was. Then there was Tanaka who was pretty much very cold and somewhat quiet to letting his guard down and actually showing a little bit more emotion. Story: So the story of this show was actually pretty amazing!! The only downside of the story was that it didn’t end with any sort of big romance scene. I was waiting for it throughout the show and although there was a few where you thought it was going to happen but it was always interrupted which was cute but still frustrating. So I’m definitely going to have to read the manga so that I can find out what happens next. But here is the full synopsis: “Yoshioka Futaba has a few reasons why she wants to “reset” her image & life as a new high school student. Because she’s cute, she was ostracized by her female friends in junior high, and because of a misunderstanding, she couldn’t get her feeling across to the one boy she has ever liked, Tanaka-kun. Alright so I hope you all enjoyed this review so be sure to check out Ao Haru Ride if you find it interesting.